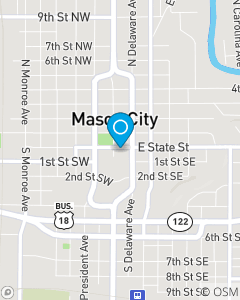 Located in downtown Mason City, east of the historic Park Inn, across State Street from City Center. State Farm Agent Kristy Marquis and her team have a commitment to provide you with remarkable customer service and insurance knowledge. Our focus is to provide an array of insurance products and services to North Iowans. From auto insurance to home insurance, from life insurance to health insurance, our team is dedicated to assisting you with all of your insurance needs.